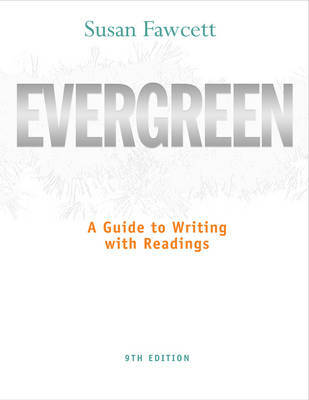 EVERGREEN combines carefully crafted instruction, high-interest readings and student models, and plentiful practice exercises, to provide the most effective paragraph-to-essay-level Developmental Writing text on the market. The Ninth Edition includes expanded and revised coverage of writing essays, including an additional essay chapter and numerous additional student models. Photos enhance high-interest readings and promote critical viewing as well as critical thinking and clear writing.